If you have ever paddled a canoe, napped in a hammock, savored a barbecue, smoked tobacco or tracked a hurricane across Cuba, you have paid tribute to the Taíno, the Indians who invented those words long before they welcomed Christopher Columbus to the New World in 1492. Their world, which had its origins among the Arawak tribes of the Orinoco Delta, gradually spread from Venezuela across the Antilles in waves of voyaging and settlement begun around 400 B.C. 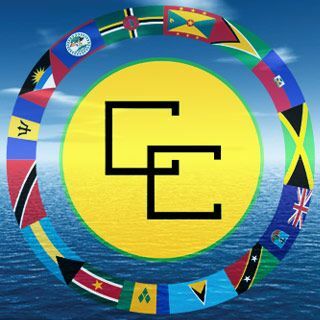 Mingling with people already established in the Caribbean, they developed self-sufficient communities on the island of Hispaniola, in what is now Haiti and the Dominican Republic; in Jamaica and eastern Cuba; in Puerto Rico, the Virgin Islands and the Bahamas. They cultivated yuca, sweet potatoes, maize, beans and other crops as their culture flourished, reaching its peak by the time of European contact. Some scholars estimate the Taíno population may have reached more than three million on Hispaniola alone as the 15th century drew to a close, with smaller settlements elsewhere in the Caribbean. Whatever the number, the Taíno towns described by Spanish chroniclers were densely settled, well organized and widely dispersed. The Indians were inventive people who learned to strain cyanide from life-giving yuca, developed pepper gas for warfare, devised an extensive pharmacopeia from nature, built oceangoing canoes large enough for more than 100 paddlers and played games with a ball made of rubber, which fascinated Europeans seeing the material for the first time. Although the Taíno never developed a written language, they made exquisite pottery, wove intricate belts from dyed cotton and carved enigmatic images from wood, stone, shell and bone. In short order, Columbus established the first American colony at La Isabela, on the north coast of Hispaniola, in 1494. After a brief period of coexistence, relations between the newcomers and natives deteriorated. Spaniards removed men from villages to work in gold mines and colonial plantations. This kept the Taíno from planting the crops that had fed them for centuries. They began to starve; many thousands fell prey to smallpox, measles and other European diseases for which they had no immunity; some committed suicide to avoid subjugation; hundreds fell in fighting with the Spaniards, while untold numbers fled to remote regions beyond colonial control. In time, many Taíno women married conquistadors, combining the genes of the New World and Old World to create a new mestizo population, which took on Creole characteristics with the arrival of African slaves in the 16th century. By 1514, barely two decades after first contact, an official survey showed that 40 percent of Spanish men had taken Indian wives. The unofficial number is undoubtedly higher. Possibly as many as three million souls—some 85 percent of the Taíno population—had vanished by the early 1500s, according to a controversial extrapolation from Spanish records. As the Indian population faded, so did Taíno as a living language. The Indians’ reliance on beneficent icons known as cemís gave way to Christianity, as did their hal­lucinogen-induced cohoba ceremonies, which were thought to put shamans in touch with the spirit world. Their regional chieftaincies, each headed by a leader known as a cacique, crumbled away. Their well-maintained ball courts reverted to bush. Given the dramatic collapse of the indigenous society, and the emergence of a population blending Spanish, Indian and African attributes, one might be tempted to declare the Taíno extinct. Yet five centuries after the Indians’ fateful meeting with Columbus, elements of their culture endure—in the genetic heritage of modern Antilleans, in the persistence of Taíno words and in isolated communities where people carry on traditional methods of architecture, farming, fishing and healing. For more than a year, I searched for these glimpses of Taíno survival, among living descendants in New York City and dusty Caribbean villages, in museums displaying fantastic religious objects created by long-dead artists, in interviews with researchers who still debate the fate of the Taíno. My search began in the nooks and crannies of limestone caves underlying the Dominican Republic, where the Taíno believed their world began. “Hispaniola is the heart of Taíno culture and the caves are the heart of the Taíno,” said Domingo Abréu Collado, chief of the speleology division in the Dominican Ministry on Environmental and Natural Resources. He clapped on a hard hat at the entrance to the Pomier Caves, a complex of 55 caverns less than an hour’s drive from the gridlock of Santo Domingo. He led me from the eye-numbing brilliance of tropical noon into a shadowy tunnel, where our headlamps picked out the image of a face carved into stone, its eyes wide in surprise. “That’s Mácocael,” said Abréu. “This guy was supposed to guard the entrance of the cave at night, but he got curious and left his post for a look around outside. The sun caught him there and turned him to stone.” The sentinel, whose Taíno name means “No Eyelids,” now stands guard for eternity. More than 1,000 years before the Spaniards arrived, local shamans and other pilgrims visited such caves to glimpse the future, to pray for rain and to draw surreal images on the walls with charcoal: mating dogs, giant birds swooping down on human prey, a bird-headed man copulating with a human, and a pantheon of naturalistically rendered owls, turtles, frogs, fish and other creatures important to the Taíno, who associated particular animals with specific powers of fecundity, healing, magic and death. Abréu, a lean man with sharp features, paused before a sweaty wall crowded with images. “So many paintings! I think they are concentrated where the points of energy converge,” he said. Abréu’s headlamp fell upon images of stick figures who seemed to be smoking pipes; others bent over bowls to inhale snuff through long tubes. These were the tribal leaders who fasted until their ribs showed, cleansed themselves with vomiting sticks and snorted cohoba powder, a hallucinogen ground from the seeds of the Anadenanthera peregrina, a tree native to the Caribbean. The cohoba ritual was first described by Friar Ramón Pané, a Hieronymite brother who, on the orders of Columbus himself, lived among the Taíno and chronicled their rich belief system. Pané’s writings—the most direct source we have on ancient Taíno culture—was the basis for Peter Martyr’s 1516 account of cohoba rites: “The intoxicating herb,” Martyr wrote, “is so strong that those who take it lose consciousness; when the stupefying action begins to wane, the arms and legs become loose and the head droops.” Under its influence, users “suddenly begin to rave, and at once they say . . . that the house is moving, turning things upside down, and that men are walking backwards.” Such visions guided leaders in planning war, judging tribal disputes, predicting the agricultural yield and other matters of importance. And the drug seems to have influenced the otherworldly art in Pomier and other caves. “Country people are still afraid of caves—the ghosts, you see,” said Abréu. His voice was accompanied by the sound of dripping water and the fluttering of bats, which swirled around the ceiling and clicked in the dark. The bats scattered before us; we trudged up into the daylight and by early the next morning we were rattling through the rain-washed streets of Santo Domingo bound for the northeast in search of living Taíno, in Abréu’s opinion a dubious objective. Formerly an archaeologist for the Museum of the Dominican Man, he was skeptical of finding real Indians but was happy enough to help scout for remnants of their influence. The first signs began to appear around the town of Bayaguana, where the road narrowed and we jounced past plots of yuca, plantains and maize, some of which were planted in the heaped-earth pattern favored by Taíno farmers of old. New fields, cleared by the slash-and-burn methods Indians brought here from South America, smoldered along the way. On the fringes of Los Haitises National Park, we met a woman who had set up shop beside the road to sell casabe, the coarse, flat Taíno bread made from yuca. “None left,” she said. “I sold the last of it yesterday.” We began to see simple, sensibly designed houses with thin walls of palm planks and airy roofs of thatch, like those depicted in Spanish woodcuts from Columbus’ day. The road ended at Sabana de los Javieles, a village known as a pocket of Taíno settlement since the 1530s, when Enrique, one of the last Taíno caciques of the colonial period, made peace with Spain and led some 600 followers to northeastern Hispaniola. They stayed, married Spaniards and Africans, and left descendants who still retain indigenous traits. In the 1950s, researchers found high percentages of the blood types that are predominant in Indians in blood samples they took here. In the 1970s, dental surveys established that 33 out of 74 villagers retained shovel-shaped incisors, the teeth characteristic of American Indians and Asians. And a recent nationwide genetic study established that 15 percent to 18 percent of Dominicans had Amerindian markers in their mitochondrial DNA, testifying to the continued presence of Taíno genes. None of this would surprise Ramona Primitiva, a villager whose family has long embraced its indigenous antecedents. “My father used to tell us we came from the Indio,” she said, using another name for the Taíno. “My family has always been here. We didn’t come from somewhere else.” We sat in white plastic chairs at the local store, grateful for the shade of an overhanging roof and happy to have neighbors join the conversation. “My father used to tell us we were descendants of the Indians,” said Meregilda Tholia Johelin. “My ancestors were Indio,” said Rosa Arredondo Vasquez. “My grandmother said we came from the Indians,” said Gabriela Javier Alvarez, who appeared with an aluminum guayo, Taíno for the grating boards once fashioned from rough stone and used for shredding yuca roots. Jurda Arcacio Peguero wandered by, eavesdropped for a moment, then dashed next door to fetch a batea, Taíno for a long wooden tray for fruits or vegetables. “It’s an old one,” she said, handing over an object fragrant of garlic and worn buttery smooth from use. The villagers did not call themselves Indian or Taíno, but they knew how Indian traditions had shaped life in the community. Most had kept a long silence about their indigenous heritage for fear of being ridiculed: Indians were country people—uneducated campesinos stereotyped as gullible or backward. The bigotry has softened somewhat, but nobody wants to be considered a rube. It was late in the day when we said our farewells and turned for the capital, back down a rutted road through lumpy green hills. “I’m sorry we couldn’t find an Indian for you,” Abréu said, sensing my disappointment. Brooding in the passenger seat, I wondered if the prevailing academic wisdom might be true—that the Taíno had been extinct as a distinct people for half a millennium, existing at best as hybrids in fragments of their old homeland. Did any pure Taíno survive? Estevez, a former pugilist who retains a boxer’s brawn and grace, unzipped a black suitcase and began unpacking objects to bolster his argument for the survival of a Taíno culture: a feather-light makuto, a basket woven from palm fronds; ladles, cups, plates and a musical instrument known as a guiro, all made from gourds; a wooden batea for carrying produce, like the one I had seen in the Dominican Republic a few days before. These were not dusty artifacts from a museum but utensils made recently by Antillean villagers who still use them and call them by their Taíno names. “My mother knew how to weave these things,” he said, holding up the makuto. “We also made casabe.” As he got older, Estevez steadily collected Indian lore and objects from a network of uncles and aunts in the islands, adding new evidence to his suitcase every year. “All my life I’ve been on this journey looking for all these Taíno things to see how much survival is there,” he said. Relegated to a footnote of history for 500 years, the Taíno came roaring back as front-page news in 2003, when Juan C. Martínez Cruzado, a biologist at the University of Puerto Rico, announced the results of an island-wide genetic study. Taking samples from 800 randomly selected subjects, Martínez reported that 61.1 percent of those surveyed had mitochondrial DNA of indigenous origin, indicating a persistence in the maternal line that surprised him and his fellow scientists. The same study revealed African markers in 26.4 percent of the population and 12.5 percent for those of European descent. The results encouraged a Taíno resurgence, with native groups urging Puerto Rican schools to take note of the indigenous contribution to Caribbean history, opposing construction on tribal sites and seeking federal recognition for the Taíno, with attendant benefits. Though the question of Indian identity is often fraught with political implications, it is especially pronounced in Puerto Rico, which still struggles with its status as a territory of the United States. The island enjoys neither the benefits of statehood nor the independence of a nation, with deep divisions between proponents for each. Ardent nationalists view the recent surge in Taíno activism as a threat to political unity. Activists say their adversaries are promoting Eurocentric history and a colonial class system. Even Taíno leaders occasionally view one another with hostility. “Here in Puerto Rico, power plays are rampant,” said Carlalynne Melendez Martínez, an anthropologist who has launched the nonprofit group Guakia Taina-Ke, Our Taíno Land, to promote native studies. Her goal is to boost Taíno culture by reviving the Arawak language, preserving cultural sites and establishing preserves for indigenous people. “We’re teaching the language to children and teaching people how to farm. We don’t do songs and dances for the tourists,” she said, referring to a competing group. In Puerto Rico’s central mountains, I came upon a woman who called herself Kukuya, Taíno for firefly, who was getting ready for a gathering of Indians in Jayuya, a town associated with both revolution and indigenous festivals. She had grown up in New York City but had lived in Puerto Rico for 35 years, having been guided to this remote community, she said, by a vision. Green-eyed and rosy-cheeked, she said her forebears were Spanish, African, Mexican and Maya as well as Taíno. Like Kukuya, thousands of Puerto Ricans have been discovering their inner Taíno in recent years. In the 2010 census, for example, 19,839 Puerto Ricans checked the identity box marked “American Indian or Alaskan Native,” an increase of almost 49 percent over the 2000 count, when 13,336 checked it. Neither canvass provided a Taíno option.The native population represents less than 1 percent of Puerto Rico’s 3.7 million people, but indigenous leaders consider the latest head count a milestone—further proof that some Indians live on long after they were thought to be annihilated. “What I’m really excited about is that there’s a lot of youth coming into this and challenging the status quo,” said Roberto Mukaro Borrero, president of the United Confederation of Taíno People. Borrero, a New Yorker of Puerto Rican parentage, has tried to soothe fears about a Taíno land grab based on Indian identity. A few pockets of Taíno culture remain in eastern Cuba, an area shaped by rugged mountains and years of isolation. “Anybody who talks about the extinction of the Taíno has not really looked at the record,” said Alejandro Hartmann Matos, the city historian of Baracoa, Cuba’s oldest city, and an authority on the island’s earliest inhabitants. Hartmann, a Cuban of German ancestry, had invited me to meet Indian descendants from the island’s Oriente region, as well as to mark the 500th anniversary of Baracoa, founded in 1511. Joining us was José Barreiro, assistant director of research at the Smithsonian’s National Museum of the American Indian. With Hartmann, Barreiro has been tracking descendants of the Indians since 1989. Based on their research, the pair estimate that at least 5,000 Indians survive in Cuba, while hundreds of thousands likely have indigenous roots. “Just look around!” said Hartmann, spreading his arms wide. In a week of exploring Baracoa and its environs, we had encountered many Cubans with the high cheekbones, coppery skin and other features that suggest Amerindian ancestry. And while it was clear that indigenous families have intermarried with Africans and Europeans, we met villagers in Baracoa and the nearby settlements of Playa Duaba and Guirito who proudly identified themselves as Indian. They kept the old traditions, planting their dense gardens, praying to the moon and sun for strength, gathering wild plants for healing and marking the passage of time without clocks or watches. “When I see the vivijagua ant come out of his nest and crawl across the rafters in the morning, I know it’s time to go to the fields,” 75-year old Francisco “Panchito” Ramírez Rojas told us. “When the chipojo lizard comes down from the palm tree to get a drink of water, I know it’s noon. I also know it’s noon when my shadow disappears and I’m standing on my own head,” he said, getting up from our lunch table to illustrate his point. A lean man bronzed by years in the sun, Panchito radiated a natural authority, which had earned him the title of cacique in the community of La Ranchería, not far from the U.S. naval station and prison at Guantánamo Bay. Hearing Ramirez, I felt the hairs on the back of my neck bristling: His method of conversing with plants was almost identical to one described by 15th-century Spanish chroniclers. Although those accounts have been widely published, it is doubtful that Ramirez ever read them: He is illiterate. He learned his craft from a great-uncle and other elders who were natural healers in his mountain community. Robert M. Poole is a contributing editor for Smithsonian. Photographer Maggie Steber is based in Miami.